Soon you and your friends will be able to explore the wonders of Stardew Valley together. This update came after game creator Eric Barone tweeted out an image of four players playing together via LAN. 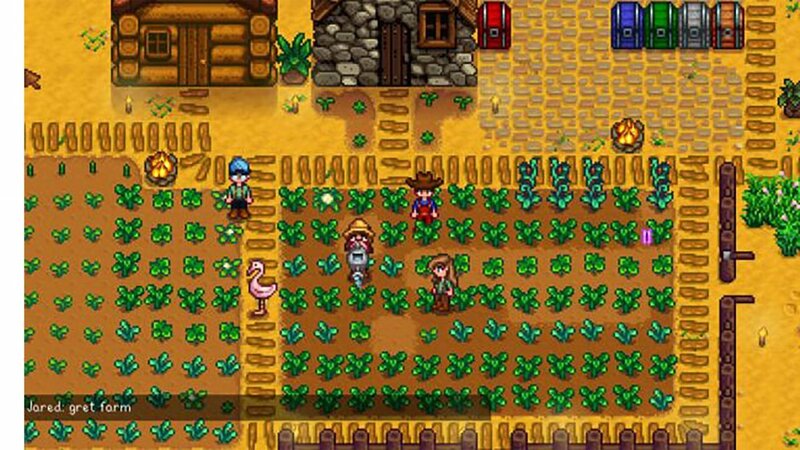 Stardew Valley’s online component was announced back in May of 2016 around the same time that Barone announced a partnership with gaming company Chucklefish to help with the more technical side of the game. The Beta for the online mode was originally scheduled for late 2017, and has since been pushed back to Q1 of 2018, although no formal date has been given as of yet. Stardew Valley launched back in February of 2016 on Windows and has since come to OS X, Linux, Playstation 4, Xbox One and Nintendo Switch, with a PlayStation Vita port in the works. Liked this article and want to read more like it? Check out CHRIS CARTER’s review of Stardew Valley for Xbox One.